Marijuana dispensaries aren’t the only entities grappling with the federal crackdown of medical cannabis in California. Municipalities, like Imperial Beach, are wrestling with whether regulation of dispensaries – which they view as a necessity – is going to put them at odds with federal government, and possibly even expose local government employees to the risk of prosecution on federal drug charges. Our Los Angeles marijuana attorneys know this was never the scenario that California voters intended when they approved legalized use and distribution of marijuana for medicinal purposes with Prop. 215 in 1996. We certainly understand that city officials want to be cautious, given the drastic actions taken by federal prosecutors – including full-on SWAT raids of dispensaries, civil eviction actions and tax complications involving the Internal Revenue Service. Despite pledges that they would only go after those dispensaries that had flagrantly broken local laws and ordinances or were operating within a stone’s throw of a school, they have gone seemingly wild in terms of their pursuits. However, dispensaries do have a right to operate under the terms of state law. This is the climate in which Imperial Beach is faced with its decision. Actually, the only reason action is being considered is because marijuana advocates gathered enough signatures to force the city to consider what has been termed the Safe Access Ordinance of Imperial Beach. These are individuals who support dispensary regulation, which would ultimately strike down a ban on dispensaries that was passed by the council a year ago. 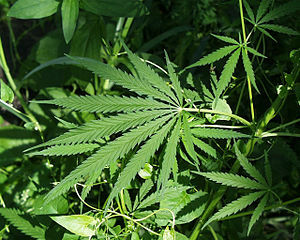 The city says it’s concerned about removing the ban and enacting marijuana regulation, due to the recent ruling of Pack v. City of Long Beach, in which the Second District Court of Appeals determined, in part, that regulation of marijuana dispensaries is preempted by federal law. City attorneys say this could open up employees for prosecution under federal law. Representatives of the Americans for Safe Access advocacy had requested that the city remove the ban on the basis of interpretation of the Pack decision to mean that any legal action taken against dispensaries prior to that decision was legally nullified. The city denied that request, but will soon have to consider the regulation aspect. The fact is that the Pack decision is often used as a legal scare tactic or excuse, and there’s nothing that expressly states that city officials can be prosecuted for following state law. Truthfully, until the issue of legal medical marijuana reaches the state Supreme Court – and possibly even the U.S. Supreme Court – legality for dispensary operators is going to to remain muddy. The best way for these operations to insulate themselves from action is to consult with an experienced marijuana lawyer. While it is true many of these operations have been shuttered by the government, many more remain open. Those that are most likely to succeed are going to be those backed by solid legal advice.